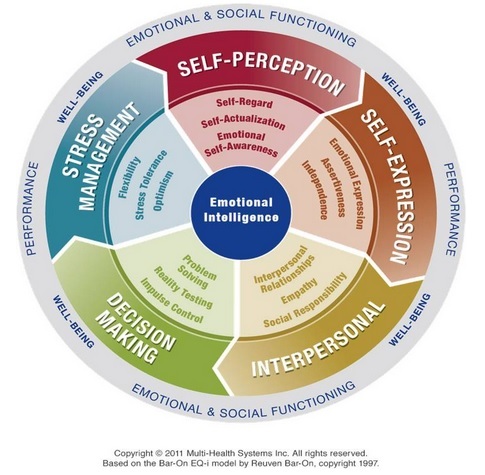 Because individual and collective leadership requires the development of emotional intelligence (EI) competencies, Alievo’s coaching services are geared towards this field of expertise. More and more, study results show that coaching is an effective method of developing leadership both individually and collectively. Complementary to the use of assessment tools, training and professional co-development, coaching is an approach on which we rely in the development of a set of socio-emotional skills for the creation of new behaviours. Change is at the heart of coaching. It relies on the creation of an alliance that focuses on the actions that the client intends to put in place to achieve its vision, goals and desires. Coaching raises questions that lead the client to discover oneself, increasing its level of perception and responsibility. This approach, which focuses on human change, seeks to highlight the gaps between where the client is and where he or she wants to go through a structured process. As this process of change occurs in phases, it is important to support the client through a framework of support, of listening and a valuable source of feedback. In short, in the presence of a professional coach, change can happen faster, easier and be more desirable and sustainable. Good leadership has a positive and unifying impact. Authenticity, Coaching, Insight and Innovation are the four key competencies required for this type of leadership. Our coaching, both individually and collectively, supports the development of the socio-emotional skills necessary to express this leadership. EQ Coaching is an experiential process of learning, discovery and transformation where theory and practice are one. Because we don’t know what we don’t know, we offer our clients the opportunity to become aware of their blind spots, their strengths as well as their areas of improvement, in order to establish with them an action plan which will give a direction to their coaching approach. By combining different approaches, including EQ Coaching, we develop emotionally intelligent and agile leaders. We support them so they can move from individual leadership to a collective leadership. Would you like to further develop your leadership skills? Contact us, we can help you get there.